The nutrition information on this tab is specific to a portion size. 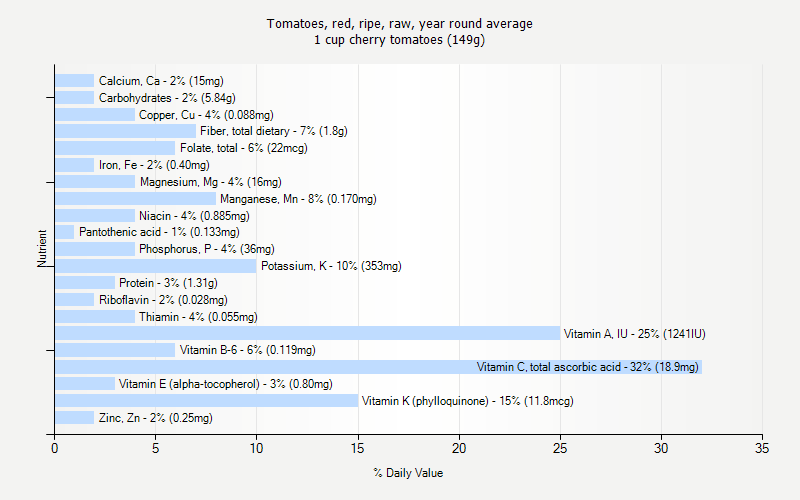 This tab shows nutrition for 1 cup cherry tomatoes (149g). The nutrition information on this tab is specific to a portion size. 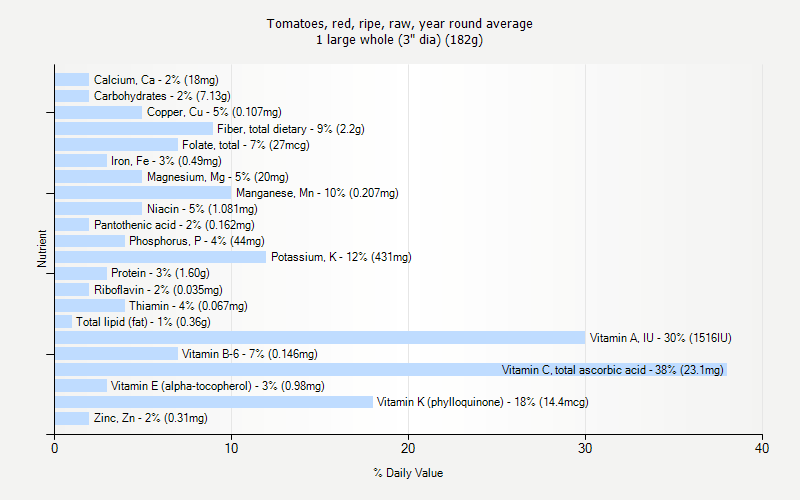 This tab shows nutrition for 1 cup, chopped or sliced (180g). The nutrition information on this tab is specific to a portion size. 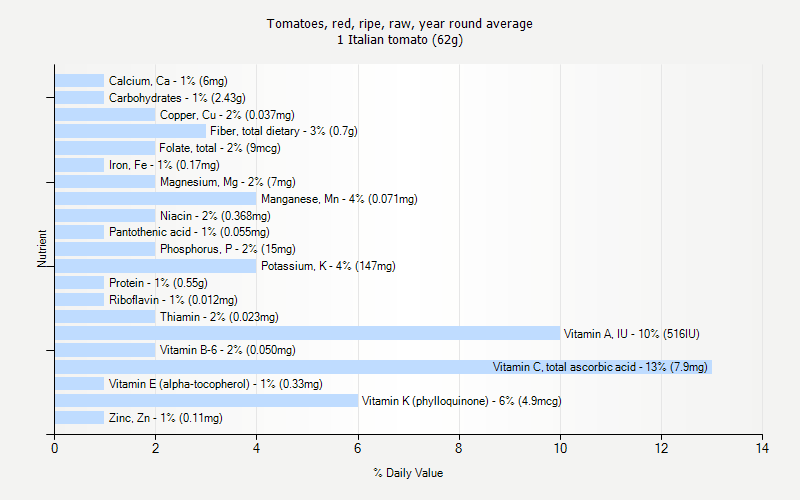 This tab shows nutrition for 1 Italian tomato (62g). The nutrition information on this tab is specific to a portion size. 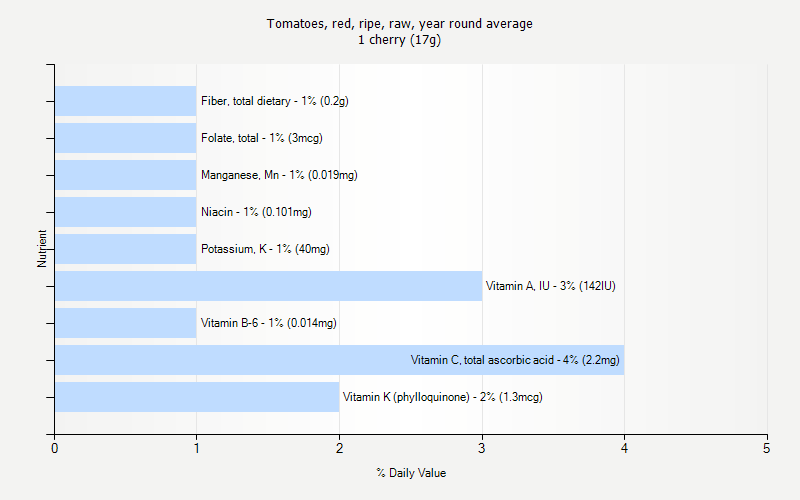 This tab shows nutrition for 1 cherry (17g). The nutrition information on this tab is specific to a portion size. 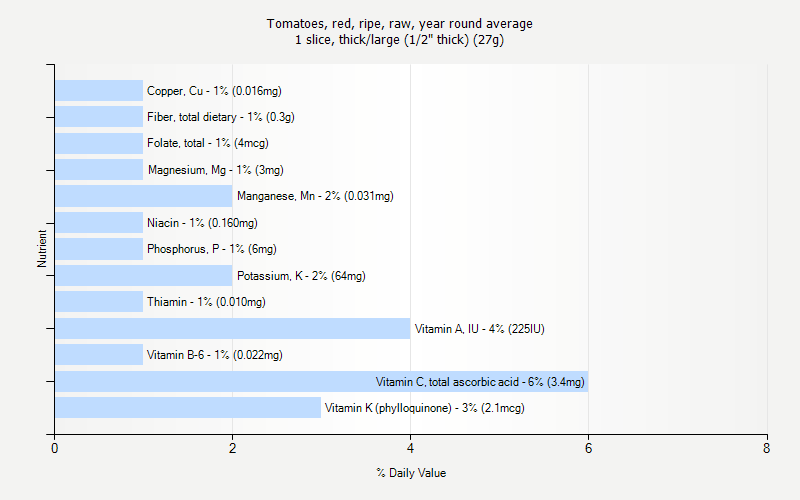 This tab shows nutrition for 1 large whole (3" dia) (182g). The nutrition information on this tab is specific to a portion size. 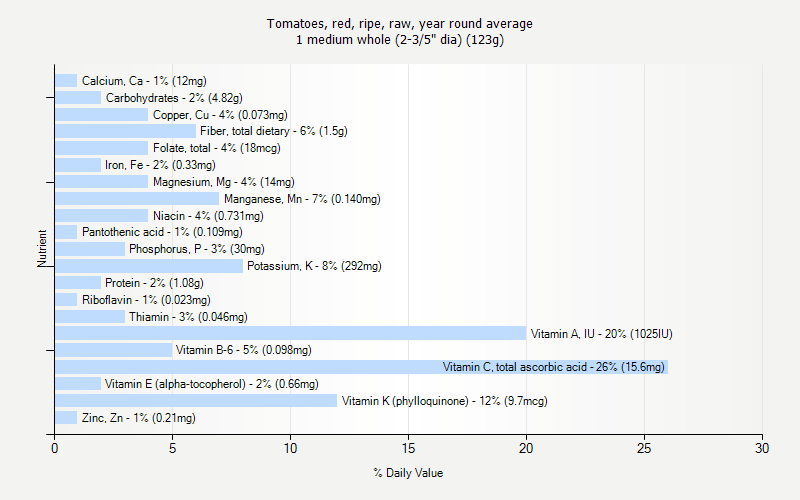 This tab shows nutrition for 1 medium whole (2-3/5" dia) (123g). The nutrition information on this tab is specific to a portion size. 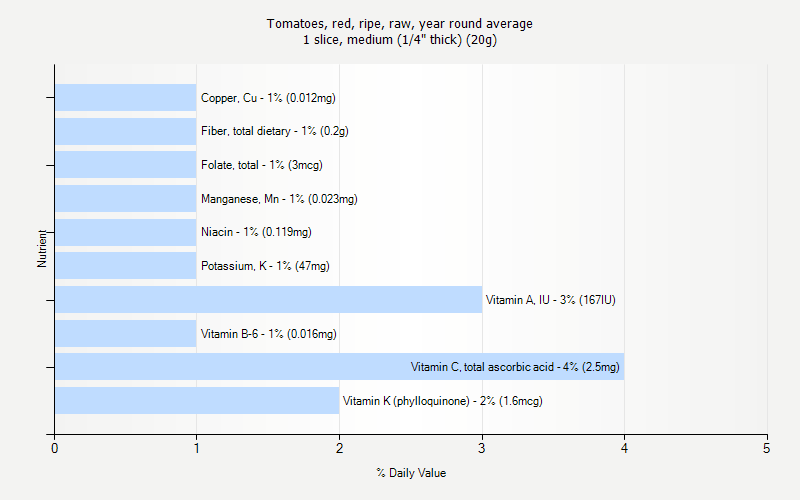 This tab shows nutrition for 1 slice, medium (1/4" thick) (20g). The nutrition information on this tab is specific to a portion size. This tab shows nutrition for 1 plum tomato (62g). The nutrition information on this tab is specific to a portion size. 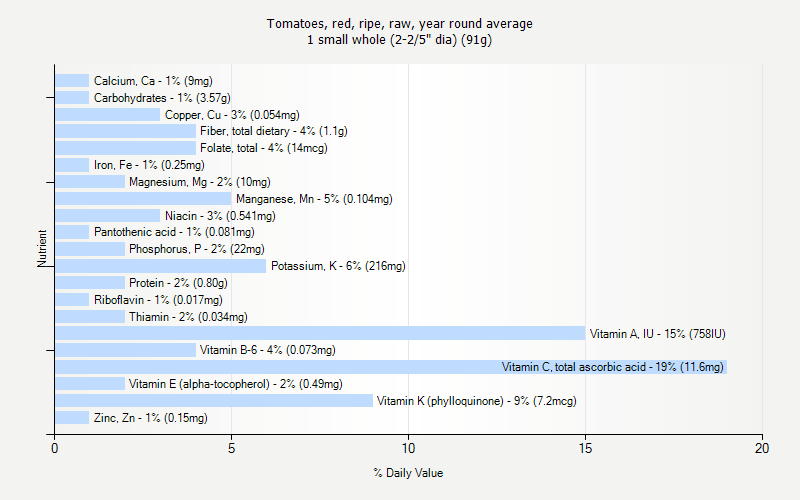 This tab shows nutrition for 1 small whole (2-2/5" dia) (91g). The nutrition information on this tab is specific to a portion size. 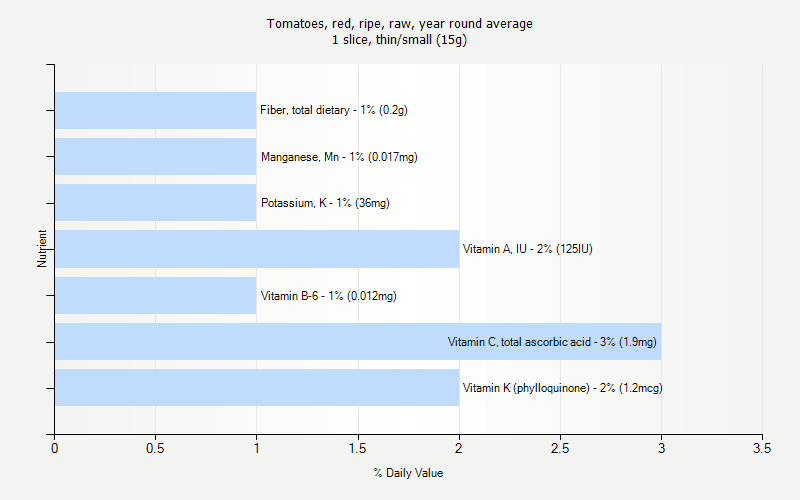 This tab shows nutrition for 1 slice, thick/large (1/2" thick) (27g). The nutrition information on this tab is specific to a portion size. 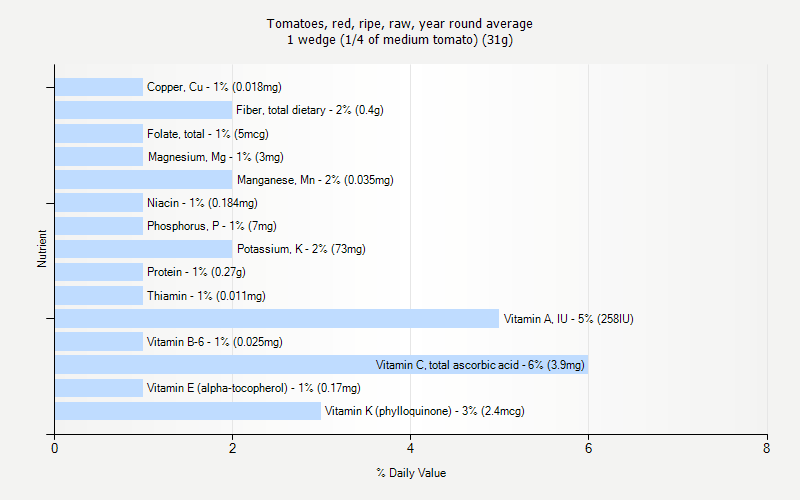 This tab shows nutrition for 1 wedge (1/4 of medium tomato) (31g). The nutrition information on this tab is specific to a portion size. 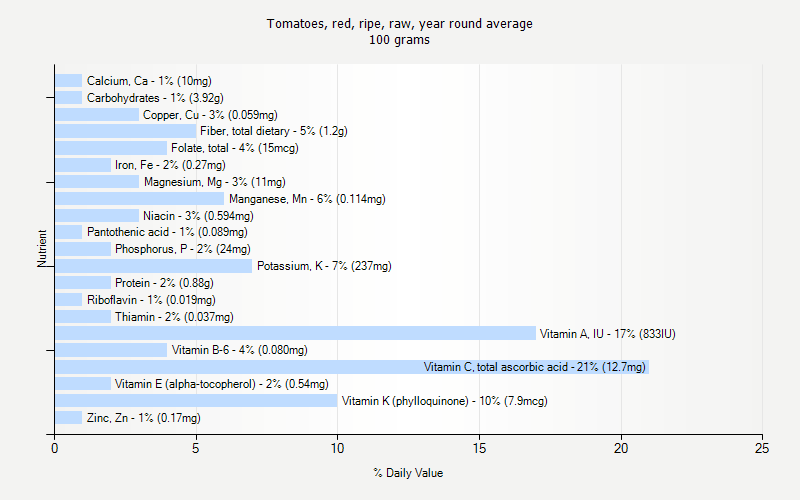 This tab shows nutrition for 1 slice, thin/small (15g). The nutrition information on this tab is specific to a portion size. 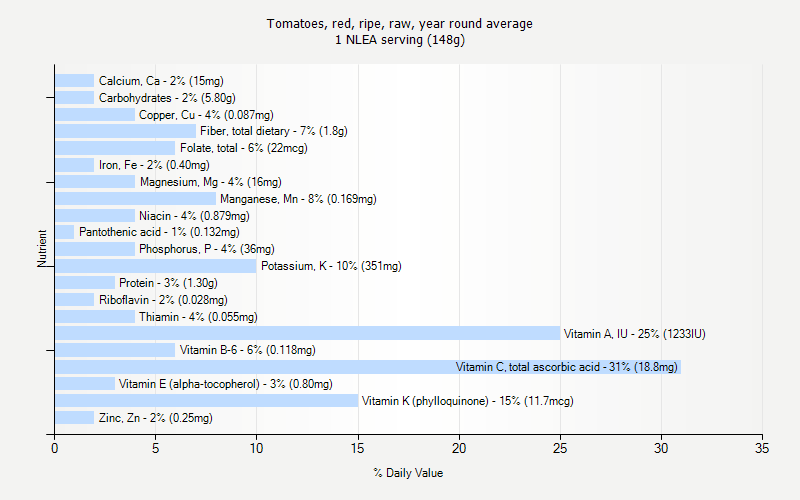 This tab shows nutrition for 1 NLEA serving (148g).